I struggle to remove the chrom trim on the door for the paint job. Seems like there is a fitting at the triangle window. I was able to remove the screws, but the triangle window won't come out. Two screws hold the triangle window in. One top, one bottom. Even after they are removed, it can still be a struggle to wiggle it out of there. Keep at it. CAREFULLY. Yeah RRS, I have removed those screws but it seems almost impossible. All the ruber and dirt and rust keeps the window in place like concrete. Have you tried judicious lubrication with water and dishsoap? ...Rust? Spray and Soak it with WD-40! That will Loosen it Up. I know this is an older post but I just removed all the trim off both door window frames and they came off without damage (after I switched methods). . My first try was using picks and thin screwdrivers damaging my first piece- Bad idea, I was able to repair the damage but changed methods on all the others. I can't take credit for this, my son's idea after watching me struggle with one piece of trim for 1/2 an hour. So here is the final method I used. We had nylon door glass wedges that came in a Lockout kit. They are a nylon/plastic material about 4 inches long . Flat pointed on one end and rectangular flat on the other. I used a file to define the thin point end flat about 1/16in thick. Also a very small controllable hammer will be needed. 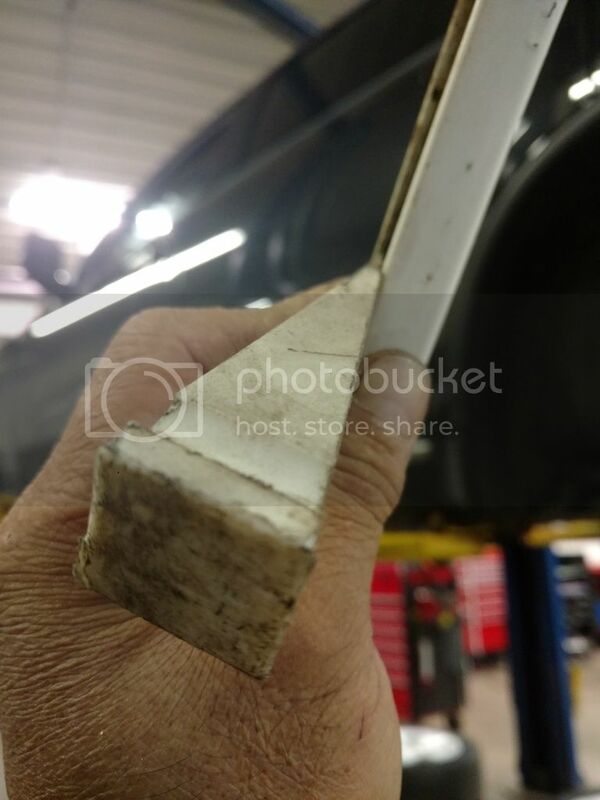 Also (my method) you will need to remove the wing window completely to access the front trim piece snapped-on edge of the trim and the triagular wing window center trim extends below into the door frame a couple inches. The long trim that runs the length of the door will not come off without removal of hiden screws inaccessible with the wing glass in. I was already gutting the door so it didn't matter.